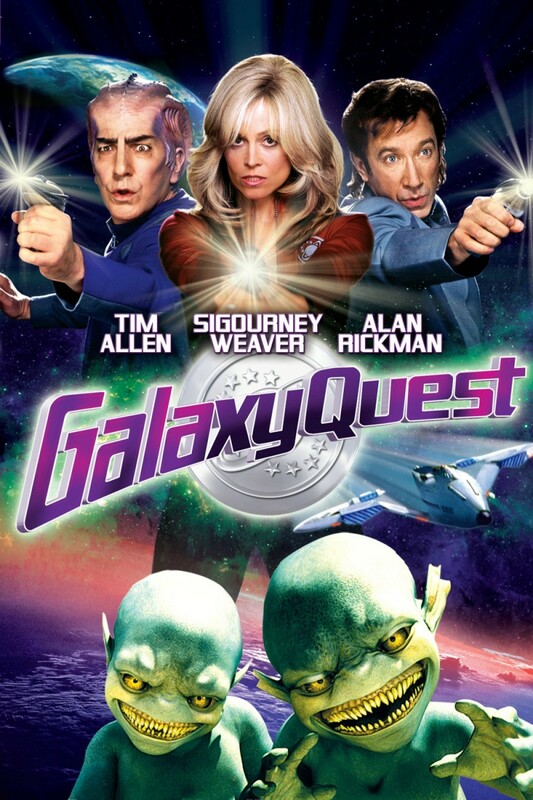 ‘Galaxy Quest’ Making The Jump To Series For Amazon!!! Amazon Studios has taken a film with an established fan base and is developing a series based on the ‘Star-Trek‘ish ‘Galaxy Quest‘. Like Trek, ‘Galaxy Quest‘ had some incredibly memorable characters that have lived on since 1999 when Tim Allen, Sigourney Weaver and Alan Rickman made hit the big screen. The alumni cast of a space opera television series have to play their roles as the real thing when an alien race needs their help. Their series is so convincing that the alien race begging for their help is unaware that the series is a total fake. It’s unclear if the original cast will be involved but original director Dean Parisot, co-writer Robert Gordon and executive producers Mark Johnson and Melissa Bernstein are on board. The series follows the latest trend of taking a successful and nostalgic film, adapting it to TV to bring in viewers that already have an idea for what the series is about and it doesn’t require quite so much development to bring a finished product to the starting line. Amazon has been expanding their series acquisitions lately and this broadens the variety of projects the streamer will offer. Never Give Up, Never Surrender! ‘Galaxy Quest’ Soaring To TV Series!!! This entry was posted on Thursday, August 27th, 2015 at 6:01 pm	and is filed under Film, News, Television. You can follow any responses to this entry through the RSS 2.0 feed. You can skip to the end and leave a response. Pinging is currently not allowed. « Newest Trailer For ‘Star Wars: The Force Awakens’ Looks Awesome!! !